Yay for a loss. Sorry to hear you had such a tough week. I hope this next one is better for you. celebrate the loss…maintaining can be just as hard as losing! I feel good things for us ahead next week! You said it! But I agree, we are going to own it next week! Sorry to hear about your tough week…hang in there! I’m sorry you have been feeling so poorly. I hope you feel better and this week is better for you. Sorry the week has been so sucky for you. Good job on the loss. Stay strong. Hope you get to your goal week and sry this week has been bad for you. This week will be in the past before you know it. Sorry to hear about the not feeling well but great about your good news with your weight loss! Way to go! Gotta say I LOVE the rain, as long as it isn’t every day… lol…. Hope you’re feeling better again soon. Oh, I feel your pain. I suffer from migraines too. Hang in there with your weight loss goals! Sorry to hear about your tough week. We’re rooting for ya! If we could all just live on cereal to lose weight that would be great… but there are so many other temptations and I don’t think it counts as a vegetable! Darn! Visiting from comment hour! I’m sorry you haven’t been feeling well 🙁 Hopefully a little SITS spotlight will make the day better! Love your header and congrats! OMG! Rainy weather makes me want to eat & eat & eat as well! It rained all.day.long here on Monday & I couldn’t stop eating for the life of me! Keep on going, you’ll have a good week this week I’m sure. I seem to have a good week, then a not so good week, then a good week, and so on! Oh, I am plagued with migraines too, I hope you are feeling better. Good job loosing while feeling crumby, good luck on your goals!! Congrats! A loss is a loss in my book. Losing weight is not easy so any victory is great! 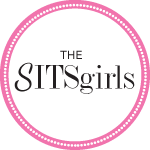 New follower via SITS! A friend of mine has Fibro. My heart goes out to you! Good luck with the weight loss. I’ll have to stop in more often as I’m trying to do the same. Keep on plugging! Visiting from #CommentHour. I’m so sorry, i have been having migraines a lot this past month, but ever sense the pregnancy i get them twice as often as i used to! They are a pain! I hope you meet your goal! Good luck! Hello from sits! Pretty blog you have here! Sorry you haven’t felt well. Hope your week begins to look up. I hope the weather improves so you feel better soon! Sorry to hear you were sick. I hate migraines. Get them at least once a month. I wish I could get down to 128. Love your header!! You should celebrate! A loss is a loss, so congratulations. I definitely hope that you begin to feel better as the weather gets warmer. Press on! STopping by to spread some comment hour love! Hey there! Thanks so much for stopping by sweetjeanette.com and leaving your sweet comment on Prayer Request Tuesday. Praying for you, my sweet friend and your family! I’m thrilled you stopped by from #CommentHour! I suffer from migraines too… they are NO FUN! I get mine from chemically produced fragrance. i.e. perfume, scented soaps… I do well when I live a fragrance free life. I am sorry you’ve been plagued. Late comer from #commenthour. Good luck with your health-I think listening to your body is the best you can do. And think of the rain as a way to get more flowers! It’s all too easy to get plagued with migraines and ill-health this season. Excellent job keeping your chin up! Stopping by, LATE, from Comment Hour. Hope you’re feeling better soon. I hate cold weather too. Sometimes I wonder if Spring will ever get here! YAY for losing!! I too and listening to my body and counting calories and Im jealous cause your at my goal weight! way to go chica! sorry you arn’t feeling to awesome this week..Hope you start feeling better soon! Good luck with the weight loss journey! Such a shame you have been feeling bad – hope you are on the mend soon and have some sunshine to brighten everything up. I am so sorry you have not been feeling well (again!) I can, unfortunately, understand all too well as I’ve battled chronic health issues for over ten years now. It can be immensely frustrating. As far as your weight goal, I STRONGLY encourage you to buy the book “The Diet Doc’s Guide to Permanent Weight Loss.” After having a baby at age 40 I tried Weight Watcher’s to lose weight. In 8 months I lost only five pounds! Awhile later I started exercising, not so much to lose weight but because I found that I couldn’t get up even a few flights of stairs without feeling like I would collapse. I started out doing DVD’s using hand weights and have worked up from using 3 lb. weights to now using 5 to 10 lb. weights while doing dozens of reps of lunges, squats, biceps, triceps, etc. I LOVE it. But still, while I did become much stronger, I only lost a couple more pounds. It wasn’t until I bought The Diet Doc’s book that I FINALLY lost weight. It was actually recommended by someone I only know through Twitter! In a few months on this plan I lost 15 lbs. I would still like to lose 5 or ten more pounds but I now fit in a size 6 or 8 so I feel so good about how I look and the cute clothes I can wear. By the way, The Diet Doc’s plan is just that, a PLAN. It is not a “diet.” It is a new but practical way of eating by balancing your fat, carbs and protein. I can practically guarantee you that, like me, you eat way too many carbs and not nearly enough protein. This plan was so easy and I actually enjoy cooking again (after being married almost 30 years…do you know how many meals that is?!) I recommend this book to everyone I know that struggles to lose weight.